The rainy season in Japan can seem endless—and you can only binge-watch Netflix for so long—so why not take this opportunity to learn some traditional Japanese activities? Below we've compiled five traditional Japanese games and hobbies to help make the most of rainy days. Let’s begin with perhaps the most-well known traditional Japanese hobby, origami. 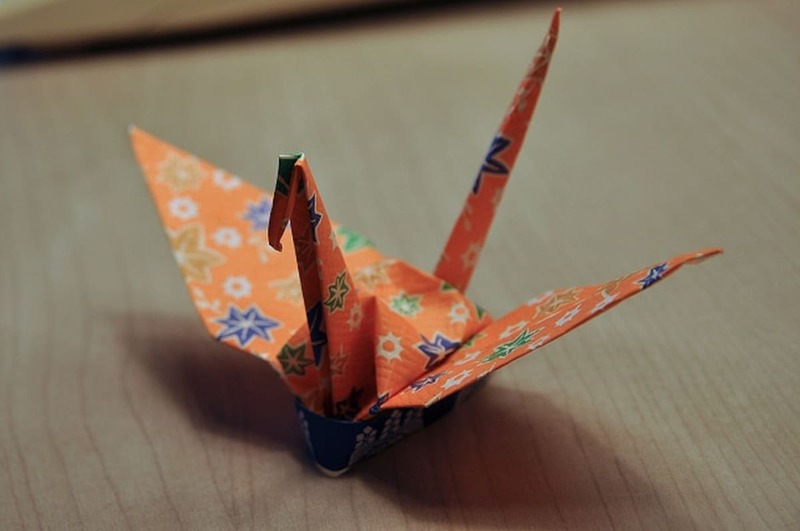 While the origins of this paper folding art aren't exactly clear cut, it gained global attention when Sadako Sasaki—a 12-year-old girl suffering from leukemia caused by the radiation from the atomic bombing of Hiroshima—began an incredible endeavor to fold 1,000 cranes, or senbazuru, to make a wish come true. Unfortunately, she was unable to complete her senbazuru, so her classmates took it upon themselves to finish what she started. You, too can fold your very own cranes by following Tavin’s origami instructions on YouTube. If you happen to make senbazaru, you can take them to a nearby shrine and hope that your wish comes true! As origami’s lesser known sibling, kirigami has his work cut out for him—literally! Kirigami is the art of cutting paper into beautiful 3-D patterns and designs. You can start out with something relatively easy like the square tower in this introductory video. If you're up for a real challenge, you can be like Japanese Twitter user @u2uniuni, and combine both origami and kirigami into one beautiful work of art! Ikebana is a traditional Japanese art form that developed through the custom of offering flower at Buddhist altars. But many of the practices of ikebana weren't codified until the Muromachi Period (1336-1573), after which various schools with differing aesthetic and rules developed. Two of the most famous Japanese ikebana schools, Ohara (小原) and Sogetsu (草月), offer introductory courses in English that can be found right in Tokyo! Calligraphy, or shodo, was developed based on techniques from mainland China. Once Japan developed its own writing system—which included a combination of Chinese characters (kanji), along with hiragana and katakana syllabaries—shodo really began to take off. The four most basic tools found in calligraphy are referred to collectively as the "Four Treasures," and include a brush (fude), an ink stick (sumi), paper (washi) and an inkstone (suzuri). You can enroll in a shodo class in Tokyo at Japanese Calligraphy Shibuya & Shinjuku Tokyo. From card games like Daifugo and Karuta to two-player strategy games like Shogi and Go, there are plenty of games to help you stay sane when it's raining cats and dogs outside. For more suggestions, check out our article on traditional Japanese tabletop games. Whether you choose to do all five of these activities or try to master just one, they're sure to keep you entertained during rainy season!